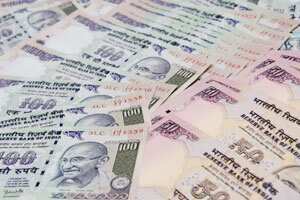 New Delhi: Unit-linked pension plans no longer have to guarantee a minimum return of 4.5%, under new guidelines issued on Wednesday. Companies will have to disclose the nature of the guarantees to customers at the time of selling the policies. The guidelines become effective on 1 December. Products that do not conform to it have to be withdrawn by 1 January. Experts see the new regulations providing a much-needed relief to the life insurance industry, which is seeing a contraction in new business growth. Private life insurance companies have been awaiting IRDA’s final guidelines to relaunch modified products. Unit-linked pension plans accounted for 20-25% of the business for the life insurance industry before IRDA’s guidelines last year forced many companies to withdraw from this space. As a transparency measure, the final guidelines state that companies should disclose upfront to customers the assured benefits of pension products in all the three situations—death, surrender and maturity. The guidelines have several customer-friendly features as well, said Rituraj Bhattacharya, head, market management, Bajaj Allianz Life Insurance. “Assured benefits like minimum guarantee on premium payable on surrender, death or maturity assures downside protection," he said. “The benefit illustration has to be provided not only at the time of sale but in every year of the tenure so that the policyholder can track it year after year." IRDA had earlier required all pension products to provide a minimum guaranteed return of 4.5%, indexed to the Reserve Bank of India’s reverse repo rate. Companies were wary of providing a guarantee because of the uncertainty in investment returns. As a result, except for state-run Life Insurance Corporation of India, companies did not enter the regular premium unit-linked pension space. “The minimum guarantee of 4.5% was restricting the returns that could be generated by companies," said Lovaii Navlakhi, managing director and chief financial planner, International Money Matters Pvt. Ltd, an investment advisory. He was alluding to the practice of companies investing in safe securities than in better return-generation options to meet the guarantee. “Many companies which were not able to provide guarantees as required by the earlier rules will now come back into the market with Ulip pension products", said G.V. Nageswara Rao, managing director and chief executive of IDBI Federal Life Insurance. “For some of the companies, the share of unit-linked pension plans was as high as 35-40%." The new guidelines allow policyholders to withdraw up to a maximum of one-third of the accumulated value as a lump sum at the time of vesting. In case a policy is surrendered after the lock in period, the policyholder can commute up to one-third of the accumulated value and purchase an annuity. “Certain constraints still remain. Once a customer buys a pension plan, he cannot surrender the policy and get the whole accumulated amount in lumpsum. The customer has to invest a major portion in annuity," Rao said. “This locks in the funds of the customers." Companies may have to rework some traditional policies as well because the guidelines cover all pension products. In the first half of this fiscal year, the life insurance industry saw its new business premiums contract to ₹ 49,046.01 crore from ₹ 62,361.34 crore in the year-ago period. The regulator has also allowed companies to offer insurance covers through the deferment period or provide riders subject to the condition that the sum of all rider premiums shall not exceed 15% of the premium paid for the pension policy.